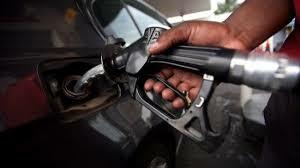 The Zimbabwe Energy Regulatory Authority (Zera) has banned the importation of fuel by members of the public. In a notice issued yesterday, Zera said the Statutory Instrument which allowed the public to procure fuel has been repealed. The move seems aimed at curbing an illegal but thriving parallel market of liquid fuels, but could extinguish an entrepreneurial spirit of cross-border traders and their parallel imports from bordering countries like South Africa, Mozambique and Botswana. “Zera hereby notifies the public that Statutory Instrument 171 of 2015 Control Goods (petroleum products prices) (Amendment) (Number 5) that allowed members of the public to import up to 2 000 litres of fuel per month for personal use without a Zera licence has been repealed through Statutory Instrument 122 of 2017,” the notice said. Zera said only licensed companies will be allowed to import fuel. After the repeal, importation of all fuel has to be done in terms of the provisions of the Petroleum Act that stipulate that only companies licensed in terms of Section 29 are authorised to import fuel.